It is the story of our life in the field of mosaics, it is the story that took mosaics to become a form of art. 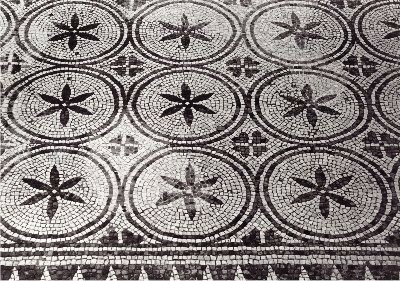 It all started almost 12.000 years ago when in the region of Mesopotamia the first piece of mosaics appeared with the so called Ur Standard where, for the first time, pieces of marble, finely cut, were assembled for a decorative use. The need to have a larger selection of colours to be used, led the artisans of the time to start using ceramic pieces, that were very efficient in term of colours, but showed no resistance to the use and tended to break often. It took a change in perspective, a radical change and the problem was solved by modifying the positioning of the mosaics that, from that time on, was not only horizontal but also vertical, so that to protect it from the consumption caused by daily use….and it has been since then that mosaics are laid out both horizontally and vertically, according to and depending on the needs and the use. 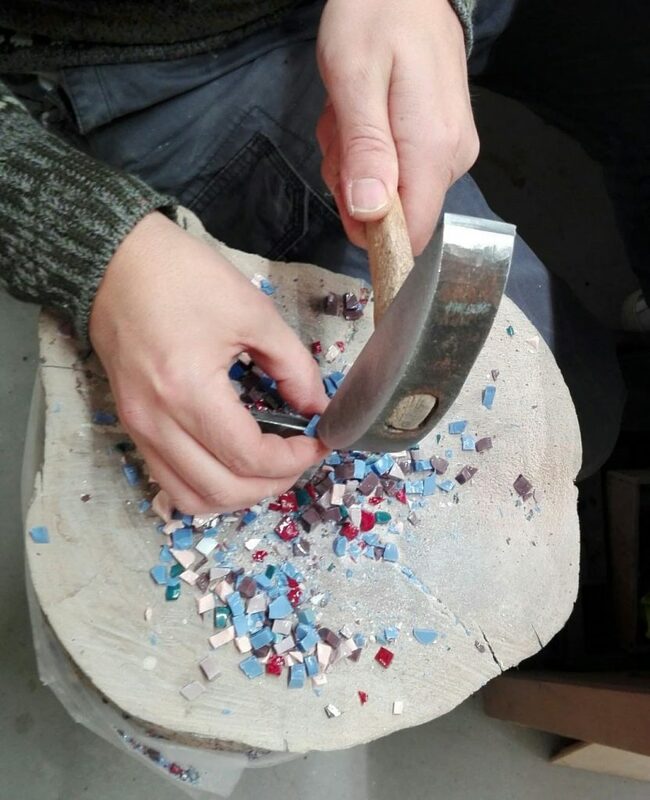 Not everybody knows that up to the 18th century, mosaics workshops did not exist as a place where people worked and that artisans used to work on site to make, to create, to assemble the piece, no matter how large or small, it might have been. The mosaics creator was then known under different levels of professionalism and his role was differentiated by skills. But after the perspective had been changed, a new major change took place and a new method, still in use nowadays, was implemented, the so called “on the reverse method” or “indirect mosaics”, that sees the artisans gluing the pieces upside down on a piece of paper and then placing the paper on a wall that has been prepared to welcome it by scrapping it, creating line guides to make the mosaics grip on the wall. It took Giandomenico Facchina to find out that changing perspective would have meant also changing method of working and the indirect mosaics method was finally born. But that was not enough to solve the chronic need of colours that both clients and artisans felt and glass came into help. Glass, the great invention of glass, was the final, ultimate answer to this question and it was glass that was put into use providing mosaics with such a large variety of shade of colours, that anything, literally anything could, from then on, be reproduced. Glass, since then forever, came into the artisans’ working life, to enrich the variety of materials to be used to make mosaics and make mosaics more real… than life. The new method “on the reverse” created a larger realm of possibilities, reducing the costs and making mosaics more accessible and cost effective to everybody, spreading it, as a form of art to be used not only by the very rich, but also by those who felt is as an art expression closer to their souls. 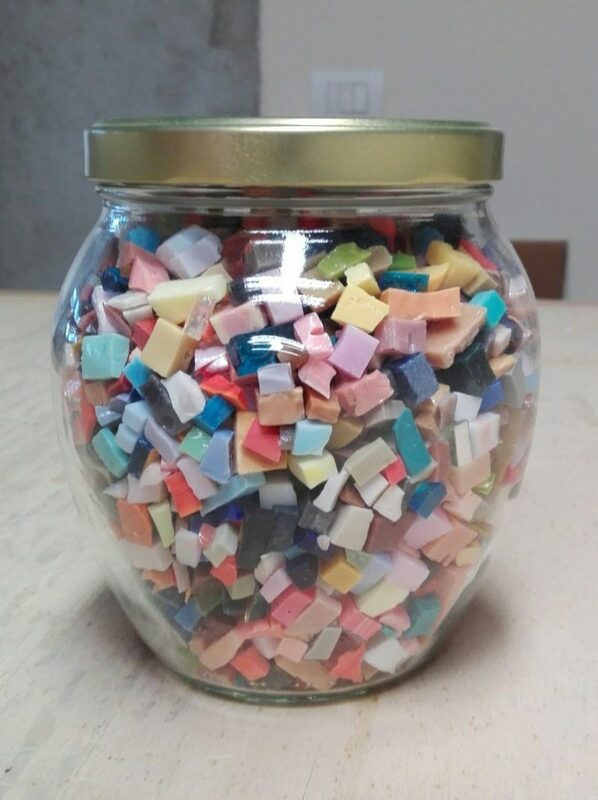 The artisans start working in a place, in a workshop, where thousands, millions of small marble pieces and glass pieces where scattered on a surface, to be chosen according to the sensitivity of the worker, that felt, touched, chose one piece after the other. Then technology started making its way in the mosaic world, but always leaving enough space to ancient, forever young methods and tools, that are still in use nowadays on a daily basis, clearly irreplaceable by technology. Small, very sharp hammers that have never changed in shape, are used skilfully by the artisans’ expert hands that cut, reduce, shape the marble or glass piece to fit in perfectly into the pattern. 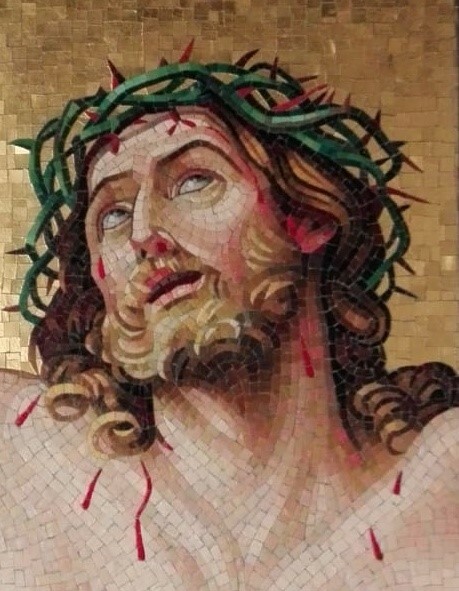 All the main steps before project execution are now fully digitalized but the technique to create is still the same, driven by the strength of the artisan’s hand that replaces the artist’s eyes, hands and arms in making the mosaics alive, more real than life.